A comprehensive review of the features and implementation of the DICOM Structured Reporting extension to the DICOM Standard. 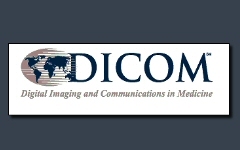 About the author:David Clunie is industry co-chairman of the DICOM Committee, editor of the standard, as well as a member or chairman of several of the DICOM working groups, including digital x-ray, compression, interchange media, base standard, display, mammography and clinical trials. He has recently joined ComView Corporation as Director of Development, Medical Imaging Products. Formerly he was Director of Medical Imaging Technology at Quintiles Intelligent Imaging and before that, Lead Designer for DICOM Standardization at GE Medical Systems.